Pooch Perks Fifty Shades of Ruff Box + Discount! This toy not only has a big, goofy grin, it also crinkles! Those of you who know Henry know that he LOVES a good crinkly toy. This toy is the perfect size for shaking or tossing across the room, the plush fur is soft, and the pink color is perfect for Valentine’s Day! 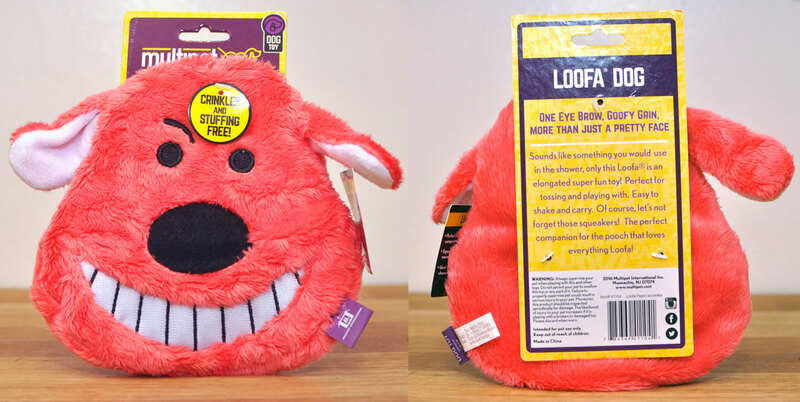 The squeak in this adorable toy is the perfect compliment to the Loofa’s crinkle! His stubby limbs are perfect for Henry to grab, and the heart cheeks will remind Henry how much I love him. (Aw!) I can also confirm that this toy is perfect for throwing around: I just found it perched on the top of the couch. These treats are grain and gluten free, as well as a source of Omega-3 fatty acids. They also lack additive or artificial fillers and sound DELICIOUS! Bacon says “love” to any pup, but the heart shape doesn’t hurt, either! 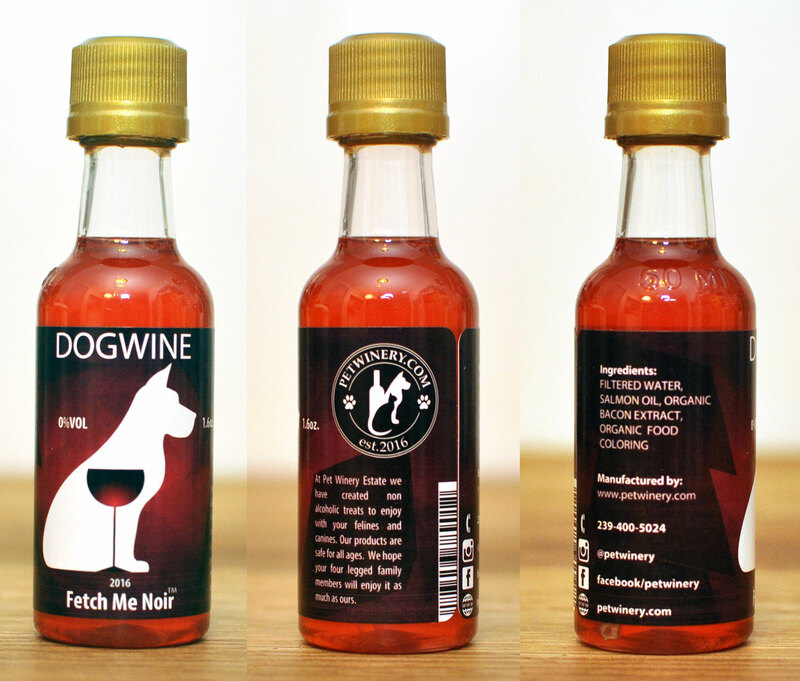 This non-alcoholic “wine” for dogs is pretty darn adorable. In addition to being just the right amount of “crazy dog lady,” it contains organic bacon extract and organic salmon oil that will appeal to the highest-class canine. The company even suggests pouring it on a picky eater’s kibble! My one concern is the vaguely-described “food coloring” in the ingredients list, but this is probably best as an occasional treat, anyway. Want a fun, cute, and glittery way to show your pup that you care? This Squeaky Gem might be the solution! As the name implies, this toy is shaped like a gem and squeaks. The funky, faceted shape means that it bounces in all sorts of directions, making it perfect for adventurous pups. It’s also dishwasher-safe and floats in water! 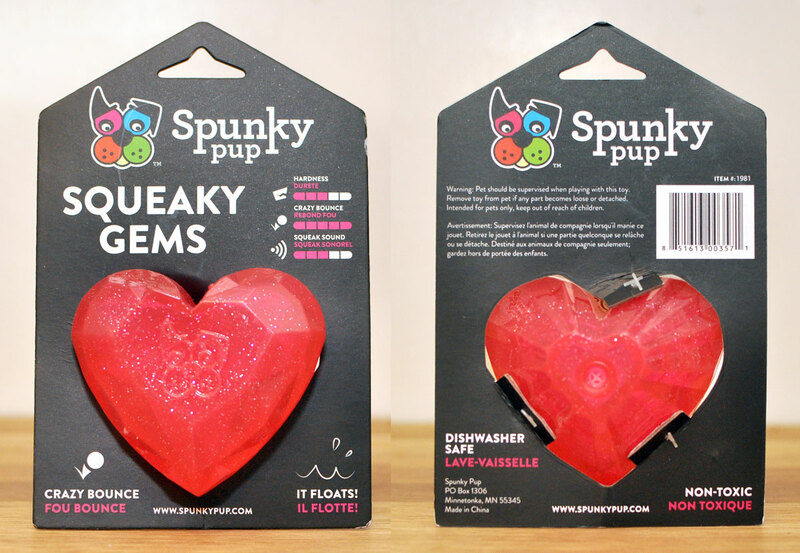 Spunky Pup offers such fun toys (such as the Mini Meteor and Mini Ghim that we received in our July box), and this Squeaky Gem is no exception. These small-batch treats contain apple sauce and blueberries and no dairy, soy, corn, eggs, or wheat. 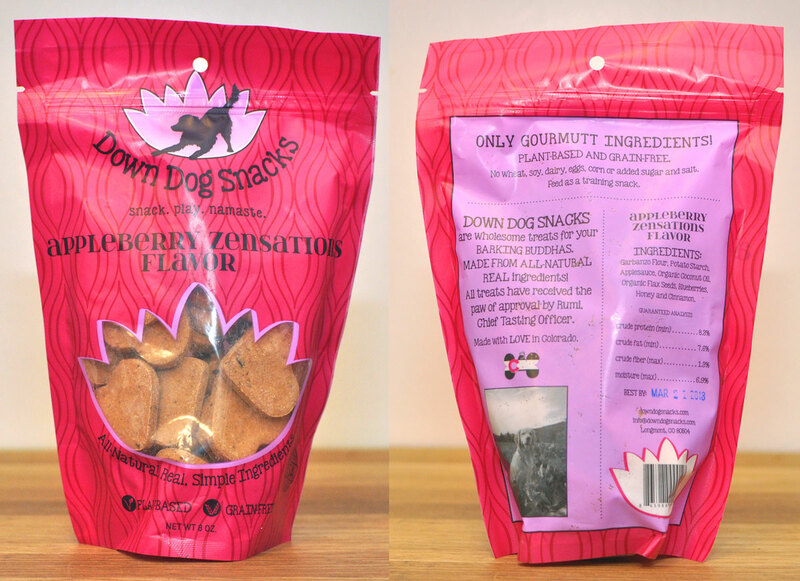 Down Dog Snacks makes their “gourmutt” treats using only human-grade ingredients, and even suggests trying a few yourself! I’m 100% guilty of sampling human-grade treats, so I’ll have to give these a taste. 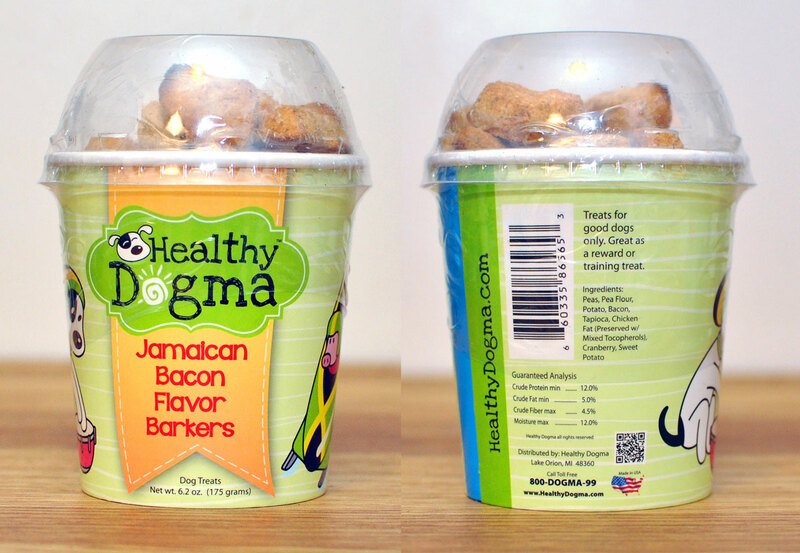 We’ve worked with Down Dog Snacks in the past, so I know my “Barking Buddha” will love these. Does your dog like meat? (Is that even a question?) 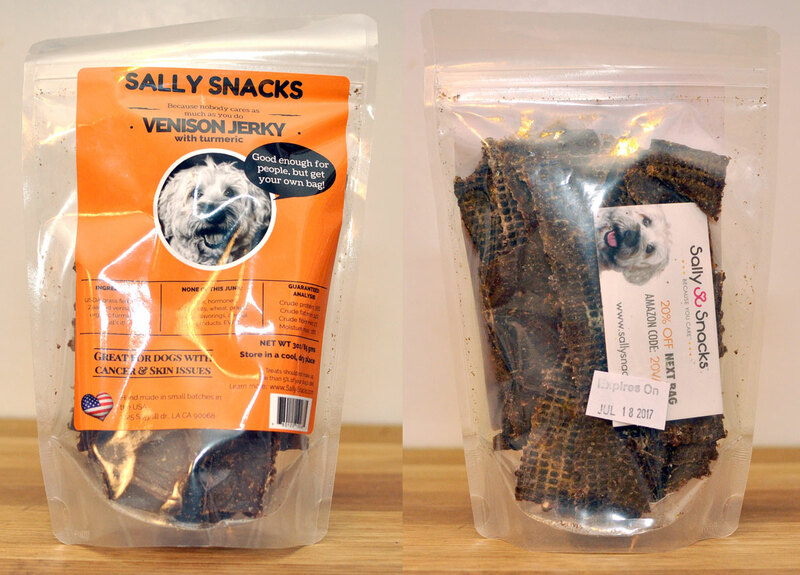 Well, he or she will love these Venison Jerky Treats from Sally Snacks! These treats are literally just 100% New Zealand grass fed Venison and turmeric: no sugar, hormones, antibiotics, wheat, gums, or flavorings. They even offer a 100% money back guarantee that your dog will love them! The package also claims that humans can eat this jerky, but I’ll leave that to you since I’m not a venison fan. Henry and I hope everyone had a lovely Valentine’s Day with your furry loved ones! I know we’ll be having lots of fun with his new toys and treats. VISIT THE POOCH PERKS WEBSITE, GIVE IT A TRY, AND TAKE 10% OFF WITH Pooch Perks Discount CODE BROKEDOGBLOG!